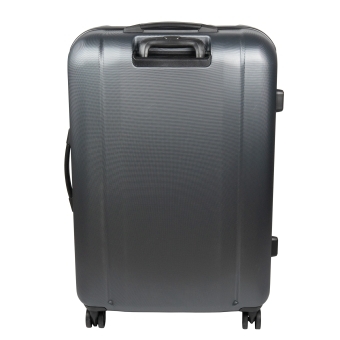 This large, smooth-running, polycarbonate trolley case from Sioux is ideal for trips lasting two to three weeks. The suitcase boasts outstanding workmanship, luxurious features, sturdy and robust materials (polycarbonate exterior and aluminium trolley system) and a long service life. Despite its exceptional stability, it weighs very little. It is a multifunctional all-rounder and brings together all the features that deliver maximum comfort and convenience for you as the user. Even when you are walking long distances, you will enjoy simple and straightforward handling thanks to the four 360° smooth-running wheels, the height-adjustable, aluminium telescopic handles and the lightweight design. 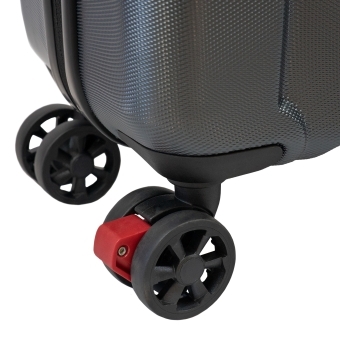 A special highlight of the suitcase is the innovative foot-operated brake in one of the four smooth-running wheels; this stops the case from rolling away on public transport or steep ground. 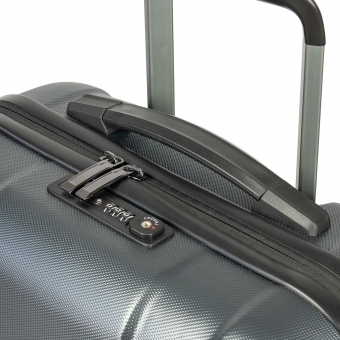 The interior of the suitcase is no less sophisticated than the exterior. 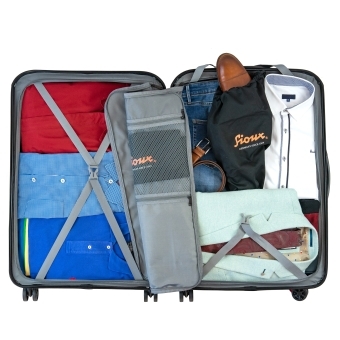 Here, Sioux has ensured a high-quality, practical and exceptionally functional range of features: thanks to separate inner zip compartments on both sides and additional elasticated straps, your luggage can be neatly organised and securely stowed to avoid slipping. Other benefits include the TSA lock, an optimally concealed, sturdy zip that can be opened in two directions, not to mention two stable rubber-coated handles. The smooth-running castors are a design highlight: as they are screwed on, each individual wheel can be replaced using a screwdriver in the event of a fault. In the unlikely event of a faulty wheel, we will be happy to send you a replacement wheel (along with assembly instructions) free of charge for up to 5 years after your purchase. You can then conveniently replace the wheel in the comfort of your own home. 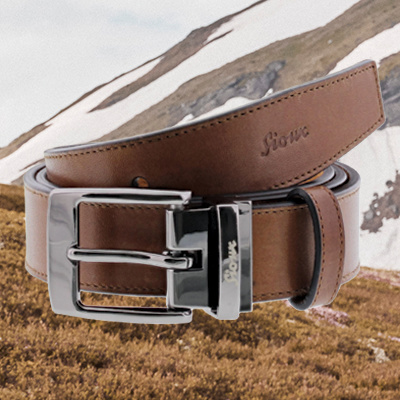 When you buy the suitcase, you will also receive two free gifts from Sioux: a handy Sioux shoe bag made of 100% cotton and a genuine leather luggage label that has been handcrafted at the Sioux factory in Portugal. You can even insert your business card into the fold-out luggage label. 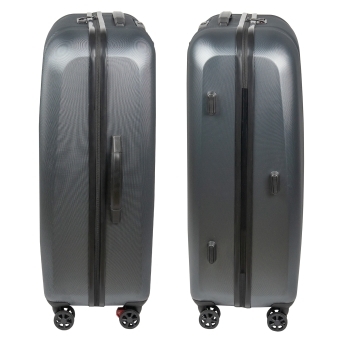 As you can see, we have carefully designed our suitcases down to the smallest detail. After all, we know that everything has to be just right on long journeys. 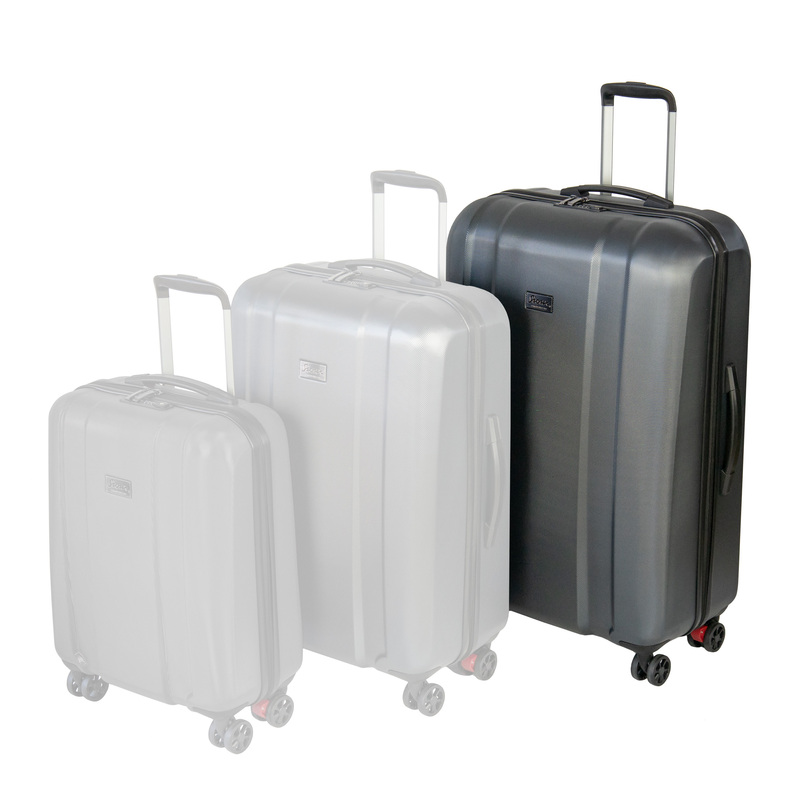 Find out more about our suitcases here.